On December 11, Billboard’s 11th annual “Women In Music” event will be held in New York City, celebrating the contributions of those without Y chromosomes to the world of music (or at least the world of chart-topping music). And this year, the company has decided that not only can women be celebrated for their work, but some might even deserve the title of “Legend,” an honorific usually reserved for such titans of culture as Bagger Vance and Tom Cruise on a unicorn. 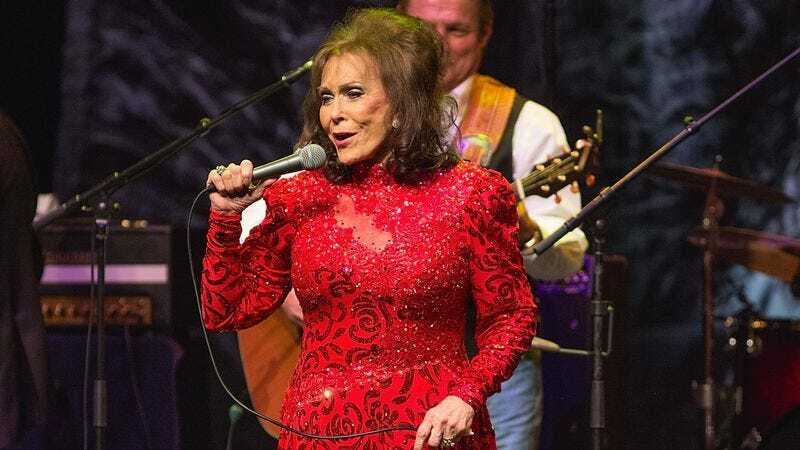 According to The Hollywood Reporter, country music singer-songwriter Loretta Lynn has been chosen to receive the first-ever Billboard Women In Music “Legend” award. The award is meant to signify Lynn’s “historic contributions to the industry and artistry of American music.” It’s a well-timed honor, as Lynn is set to release Full Circle, her first studio album in more than a decade, on March 4. It also seems well deserved, as Lynn has had 29 Top 10 albums on the Country chart over the years, 11 of which went to number one, the second-highest number of any female artist. The event will also present Lady Gaga with the Woman Of The Year music award, even though it’s kind of an odd year to give that to her, since she’s arguably done more in the genre of “Women in ridiculous messes of horror TV anthologies” than music over the past year. Also being honored this year are Selena Gomez, Demi Lovato, Lana Del Rey, Alabama Shakes’ Brittany Howard, Fifth Harmony, and Kelsea Ballerini. Notably absent from that list is Taylor Swift, who strides the Billboard charts like a colossus, and whose lack of appearance seems strange, since we’re pretty sure Swift is a Voltron-like monster, created by fusing together all the other women named above.